THIS IS A SHOW STOPPER, YOU DON'T WANT TO MISS YOUR CHANCE TO OWN THIS BEAUTY!!! This beautiful open floor plan has 4 bedrooms and 3 full bathrooms. 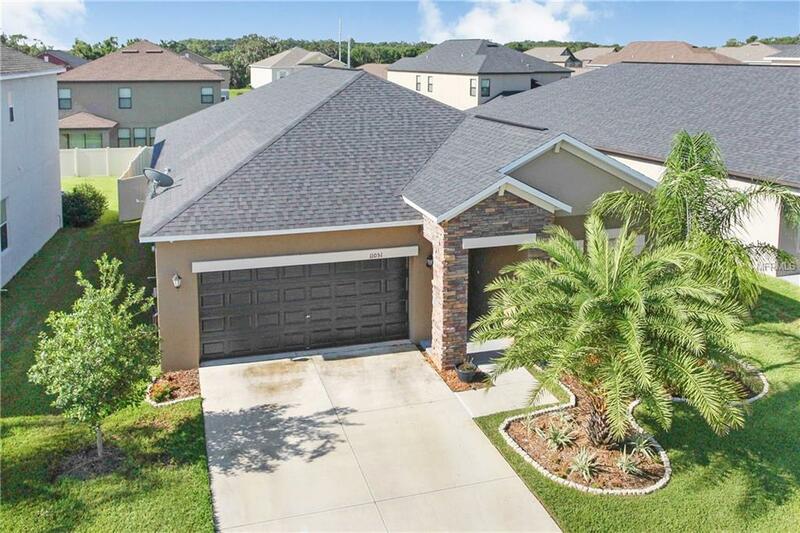 This spacious open floor plan is loaded with upgrades: NO CARPET - Brand new bamboo wood flooring installed throughout all bedrooms and closets (JULY 2018), granite counter tops, window treatments, fenced- oversized backyard, large lanai - screened in, security system with four HD cameras, new kitchen disposal, and so MUCH MORE! Additional Lease Restrictions Buyer To Verify All Restrictions And Rule With The Hoa.